The All Decked Out collection was inspired by beaches and the summer sun and is full of calming and cool tones that reminded Elle, the Color Curator for Dermelect, of a sea shell. I found all four shades to apply wonderfully. I think a third of the sheer beige, A Shore Thing, might have added a bit more coverage, but since it's supposed to be sheer, I stopped at two since I liked the look. Lazy Daze was surprisingly opaque in just two coats, and so pretty, but my favorite of the collection is Dune My Thing. 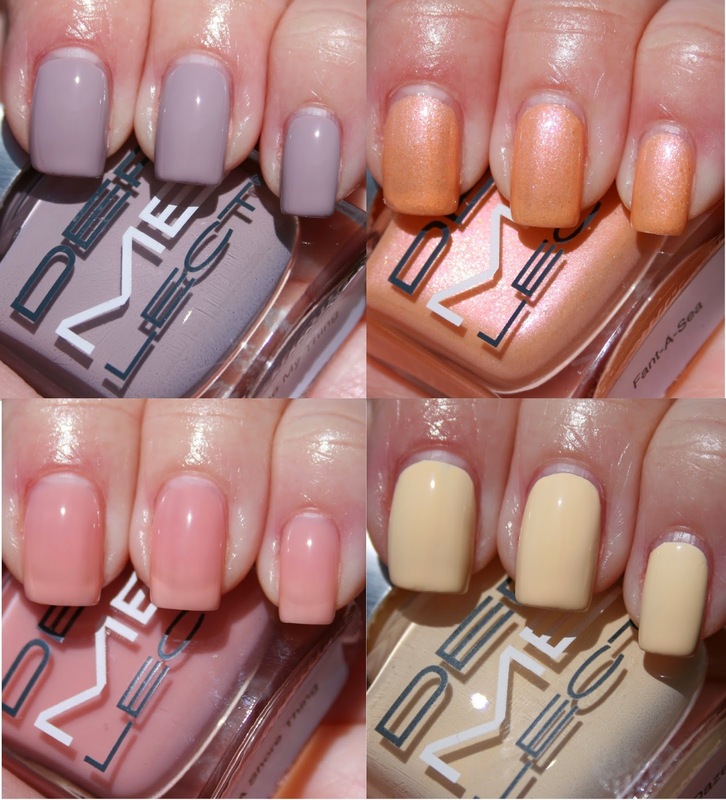 Dermelect recommends using the shades without a separate base coat since they have ingredients to help strengthen the nails. They have also recently released a new cuticle oil called Revital-Oil that is peptide infused as well as a topcoat called Memento that can help a mani up to 9 days. I plan on giving these two products a try over the next week. Watch for an upcoming review of these two products.